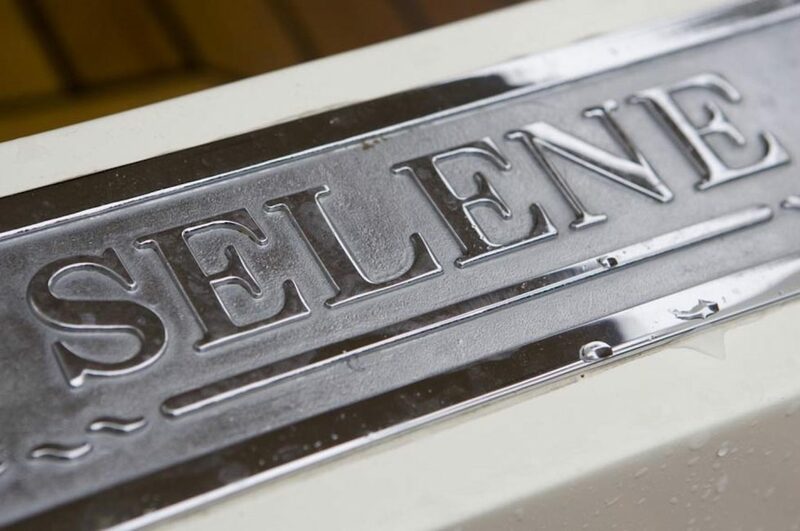 The Selene 42 Voyager Sedan is a newer design (2012), that Selene Yachts has developed based on the original « Selene 42 Archer » hull with a new super structure and European, Floridian or Mediterranean flair! 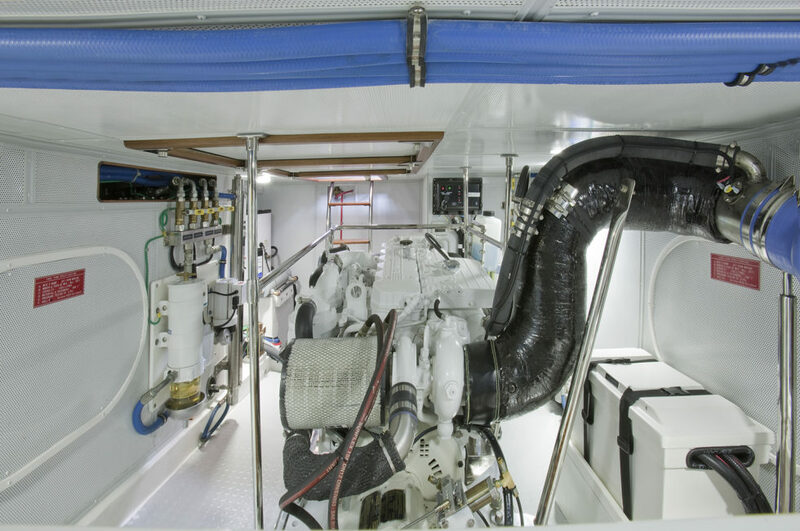 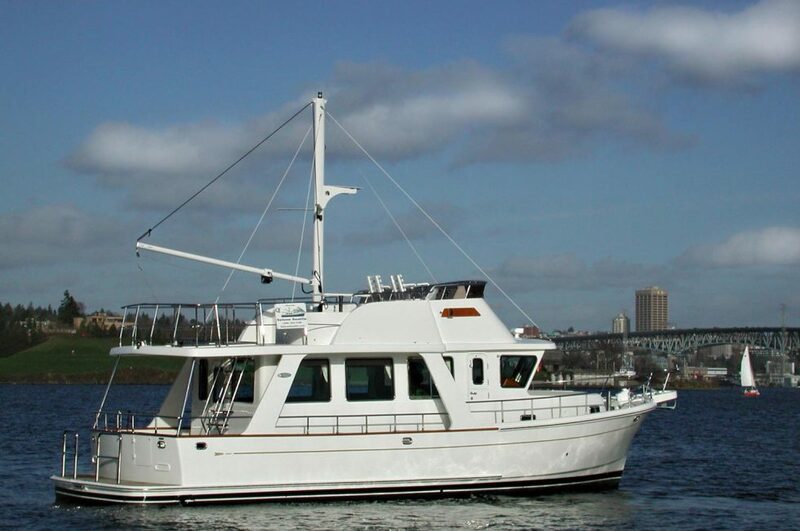 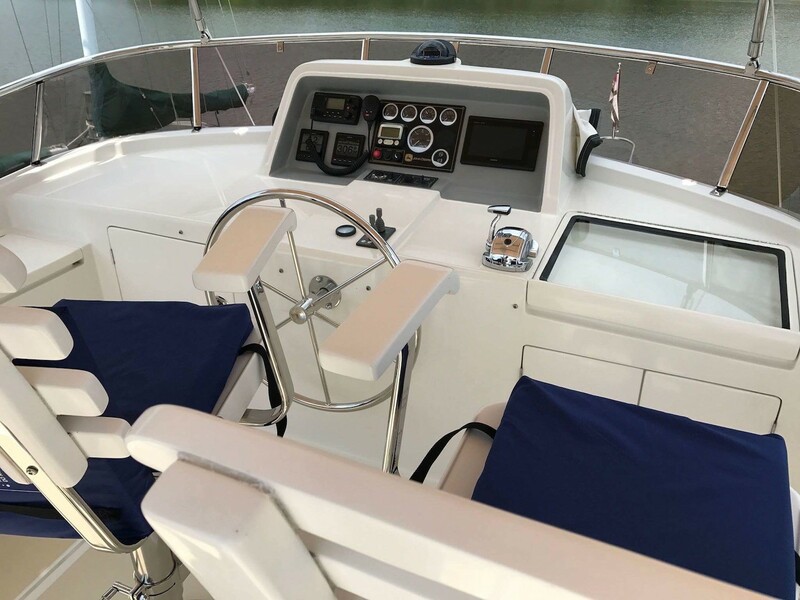 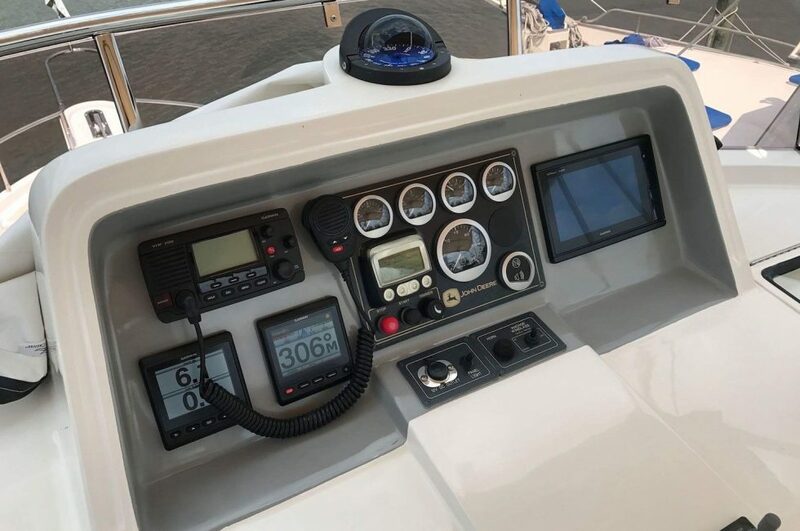 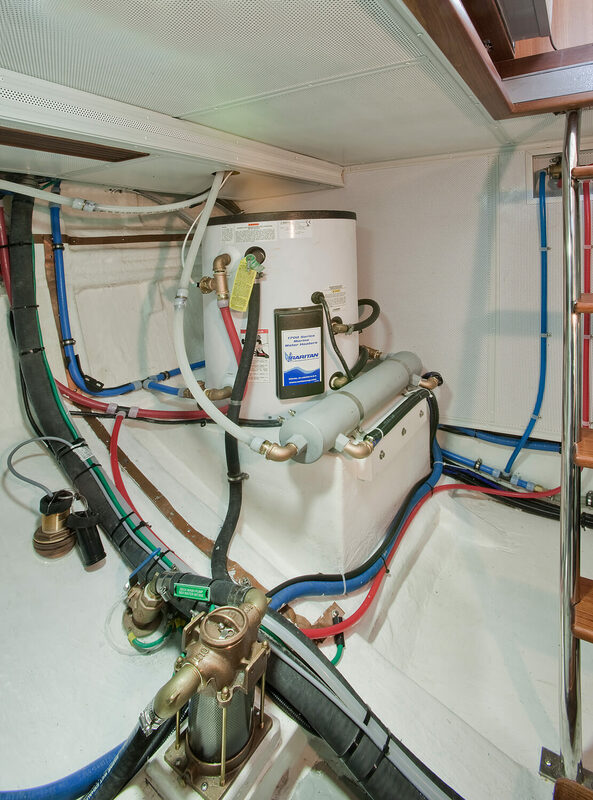 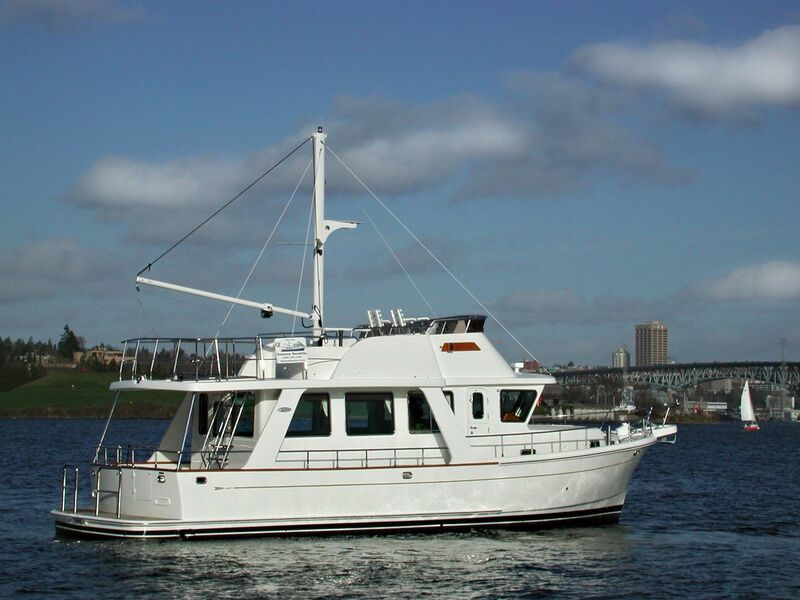 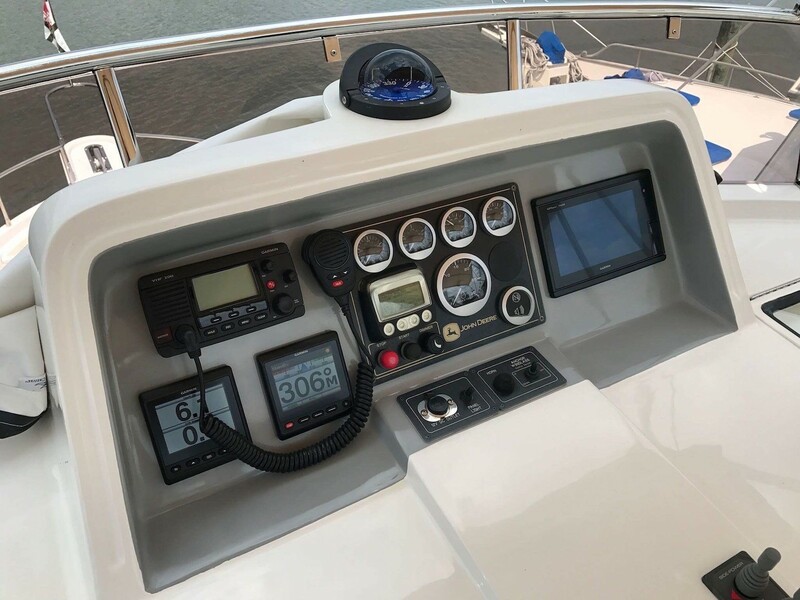 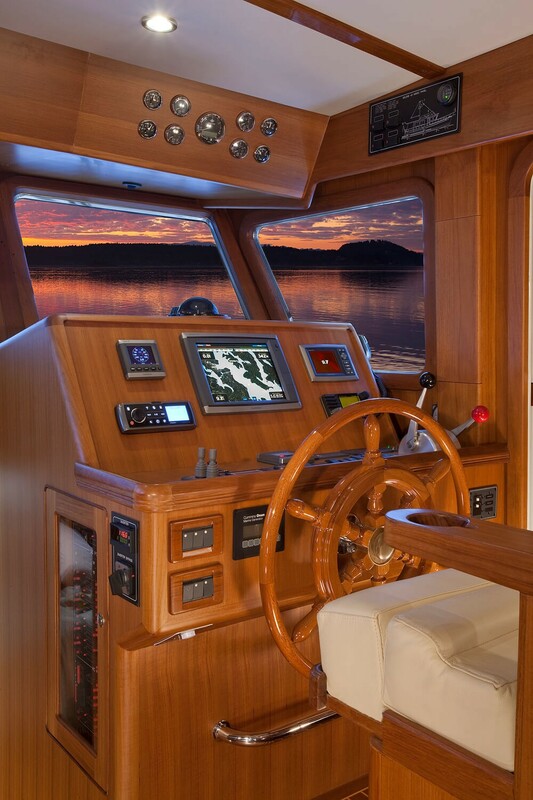 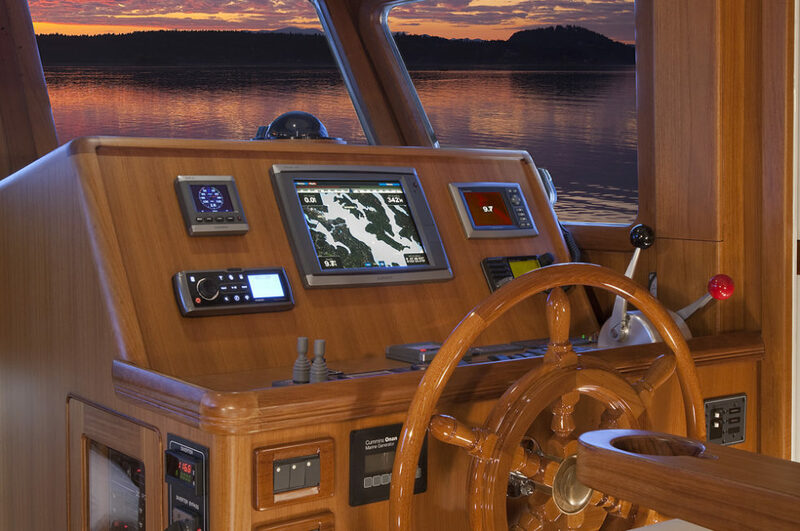 The yacht is designed with a single Cummins QSB 230HP or John Deere 180HP Diesel engine. 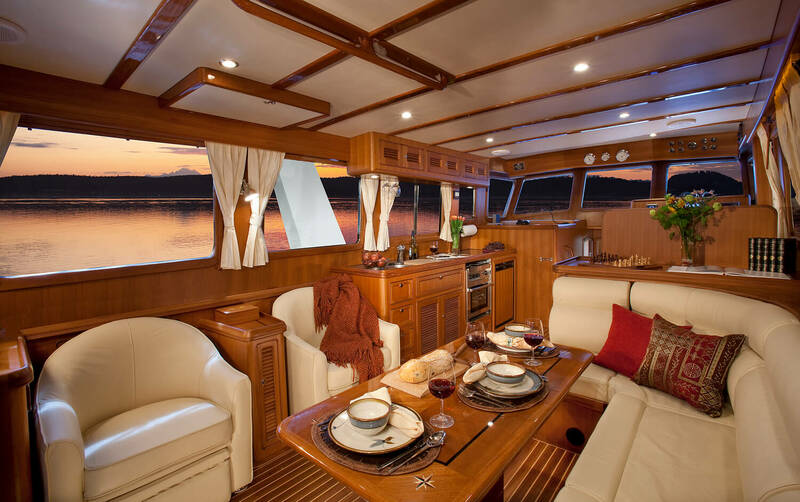 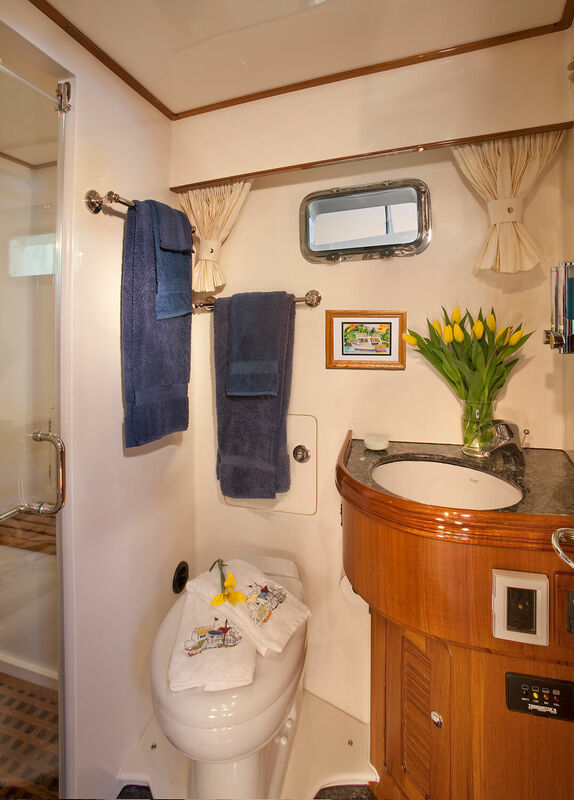 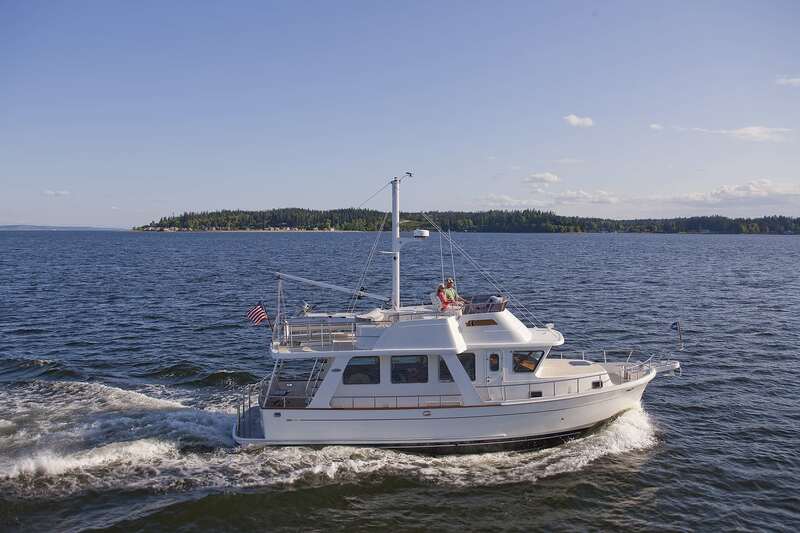 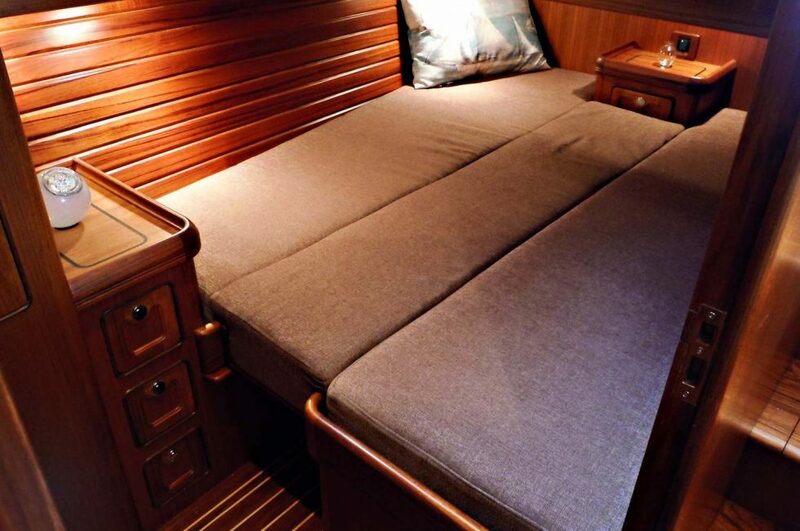 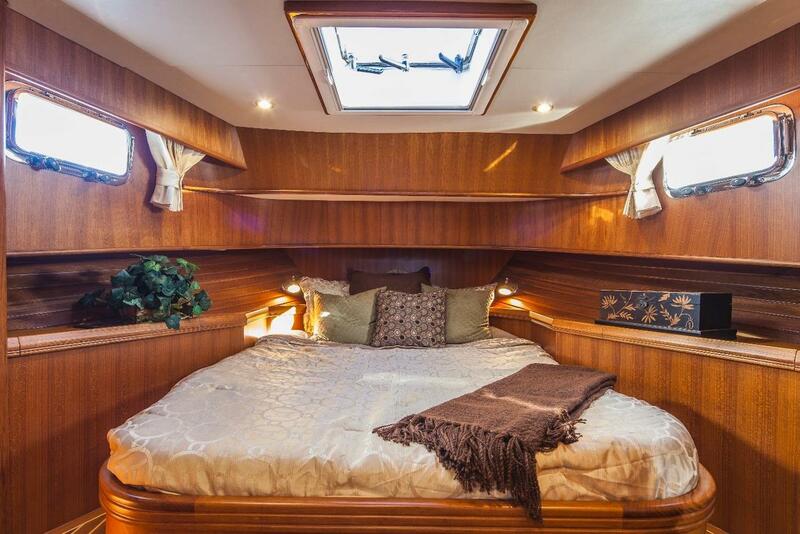 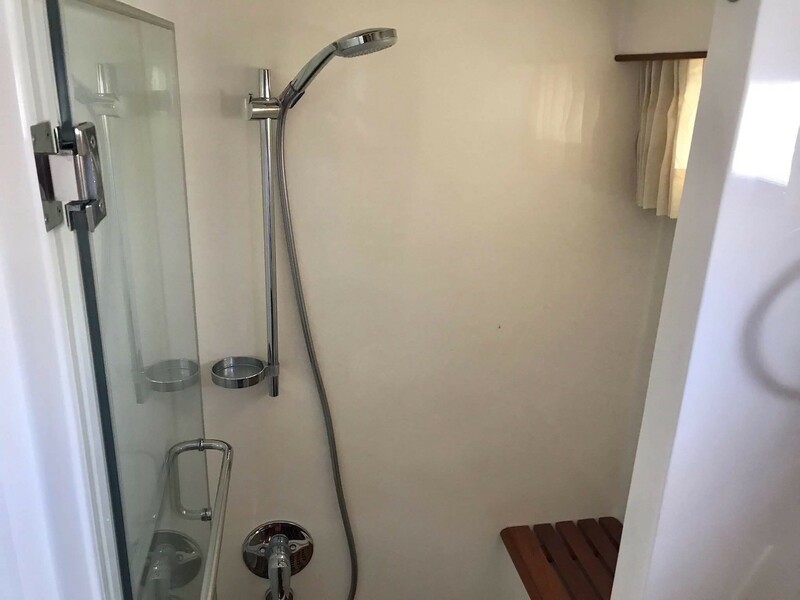 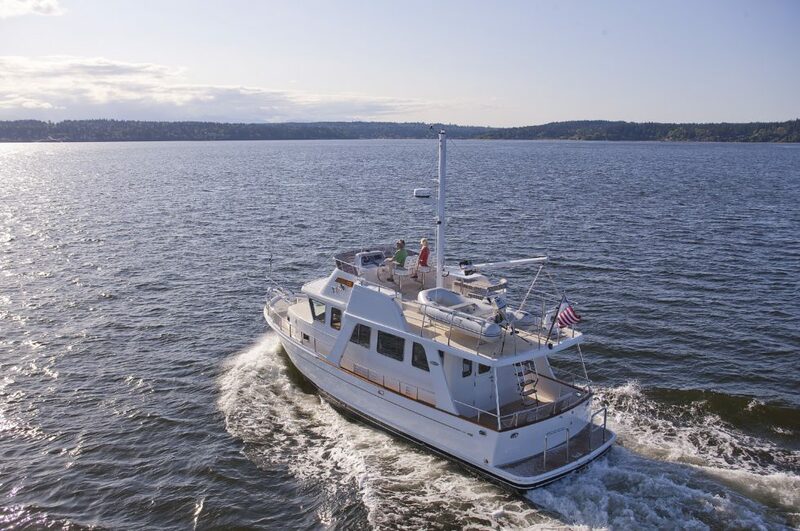 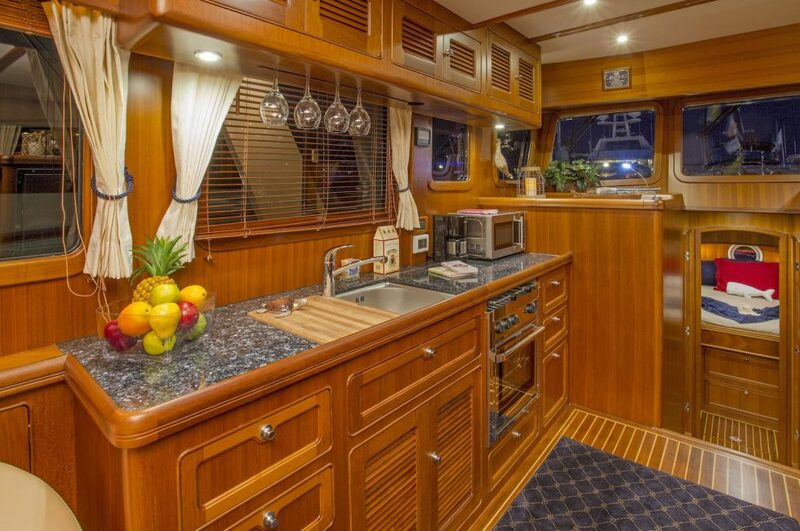 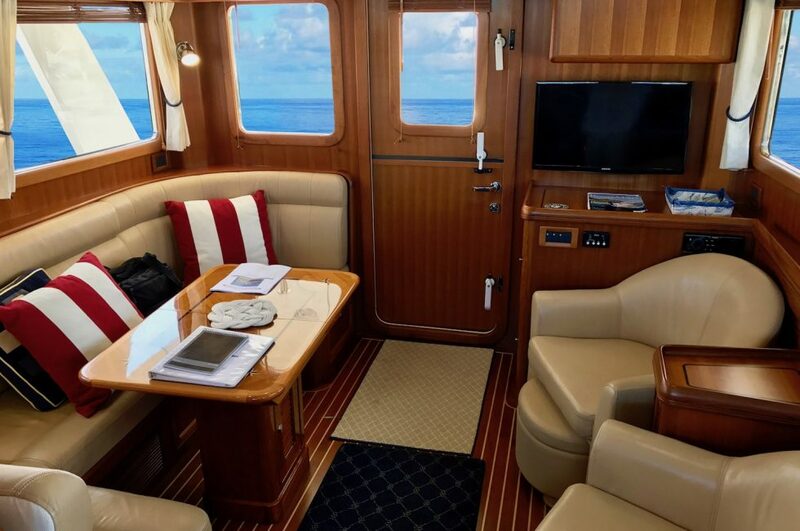 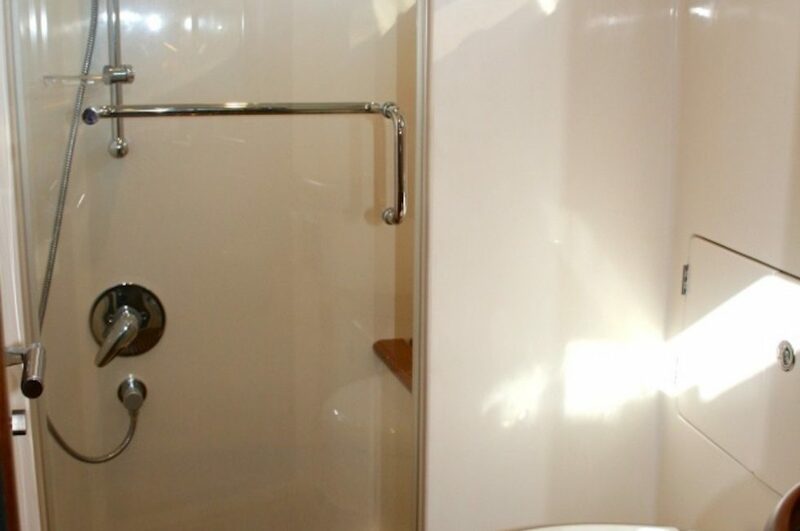 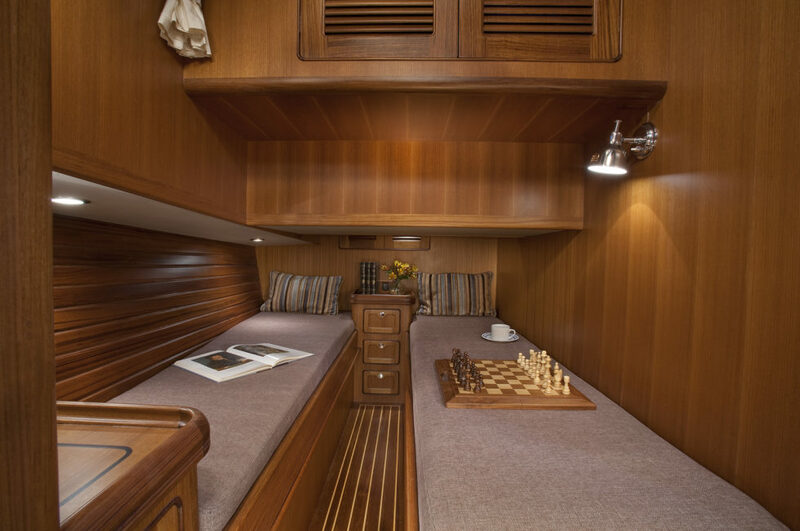 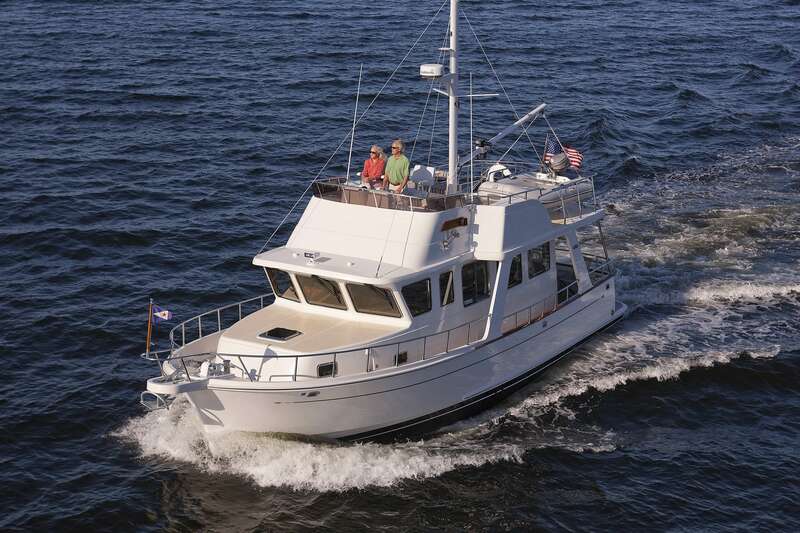 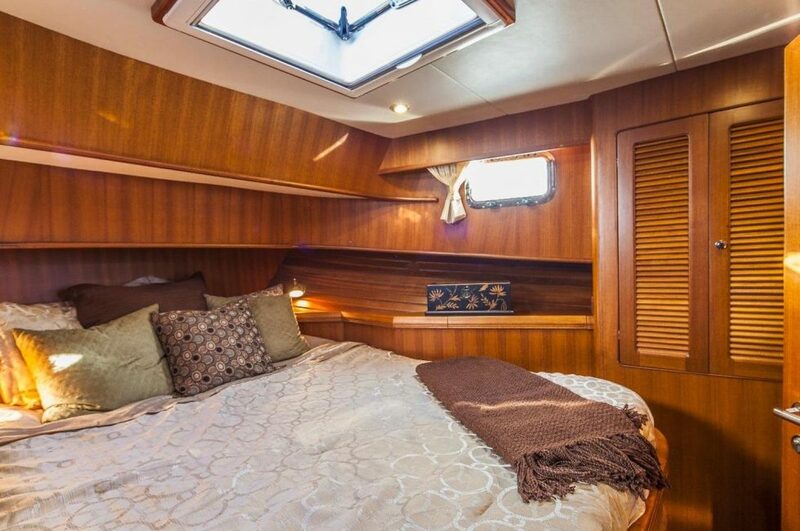 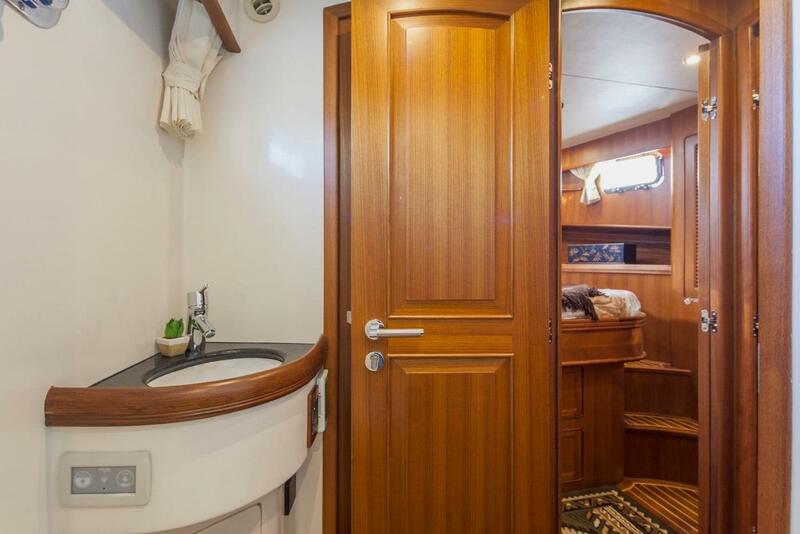 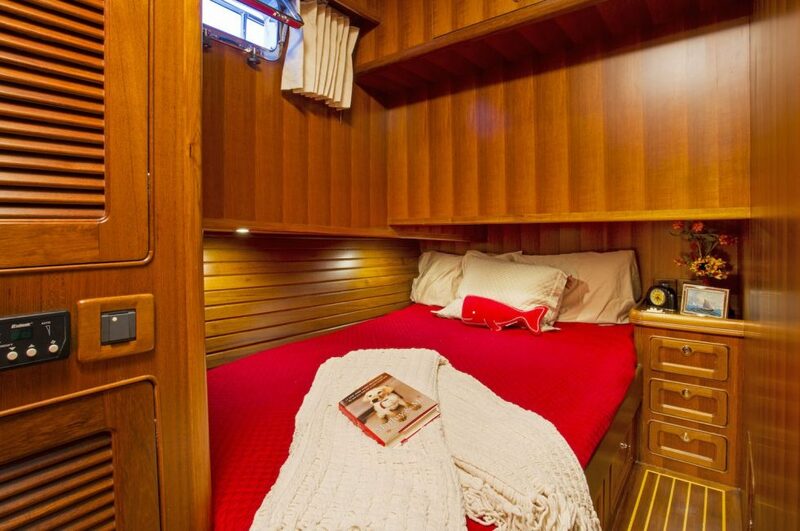 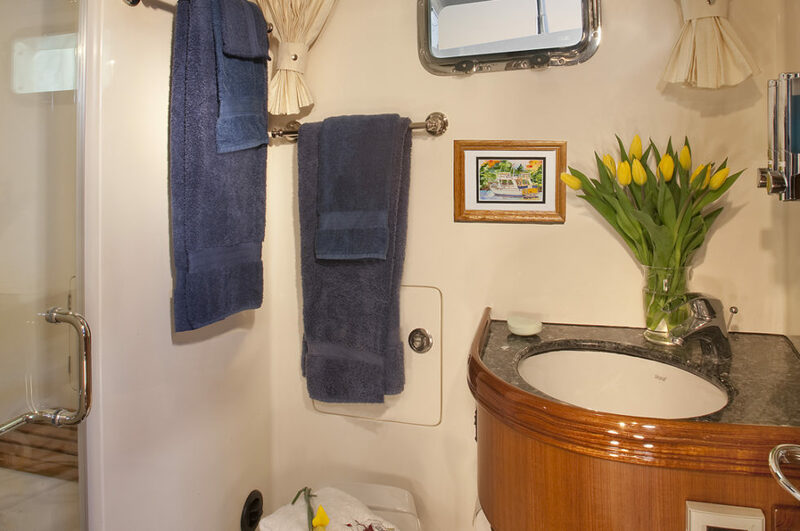 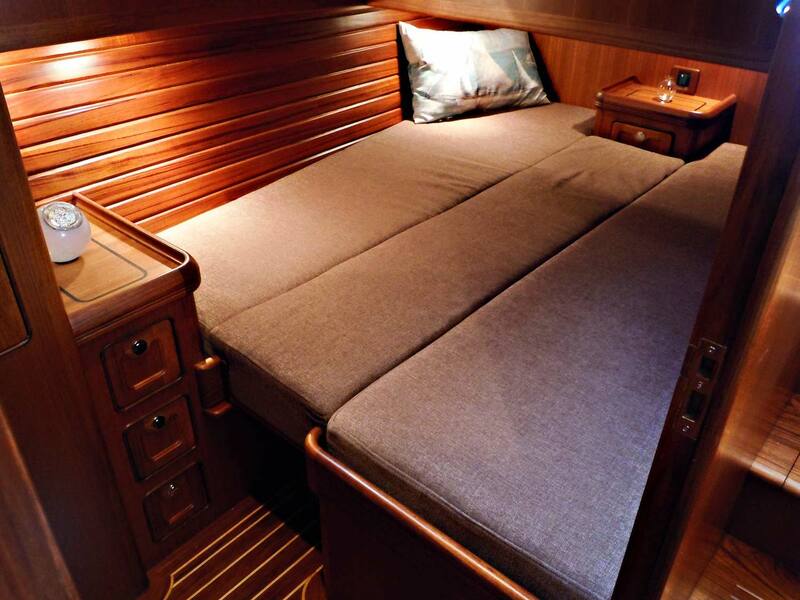 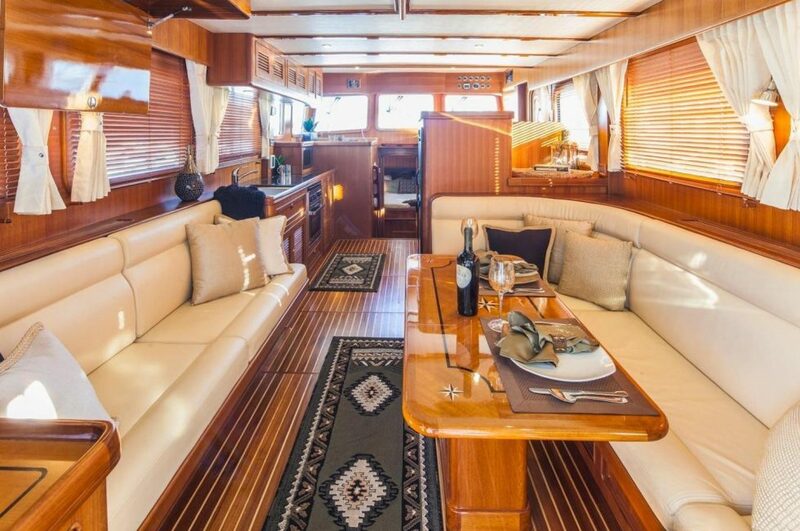 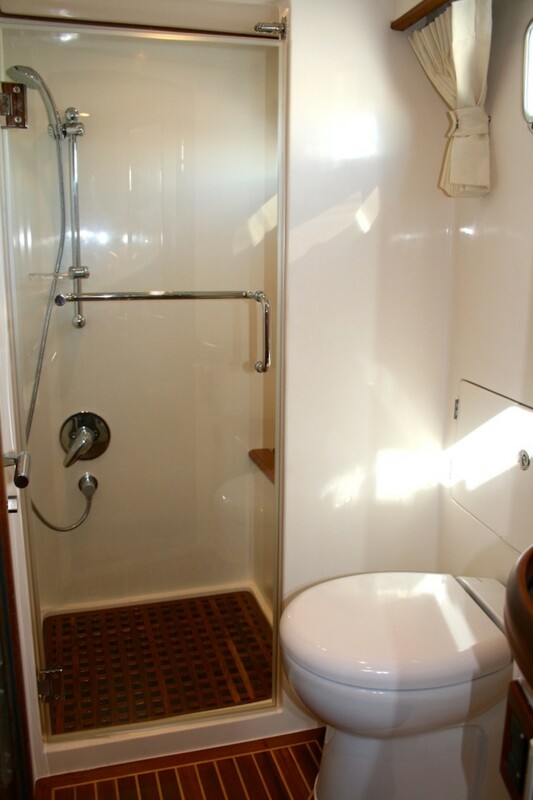 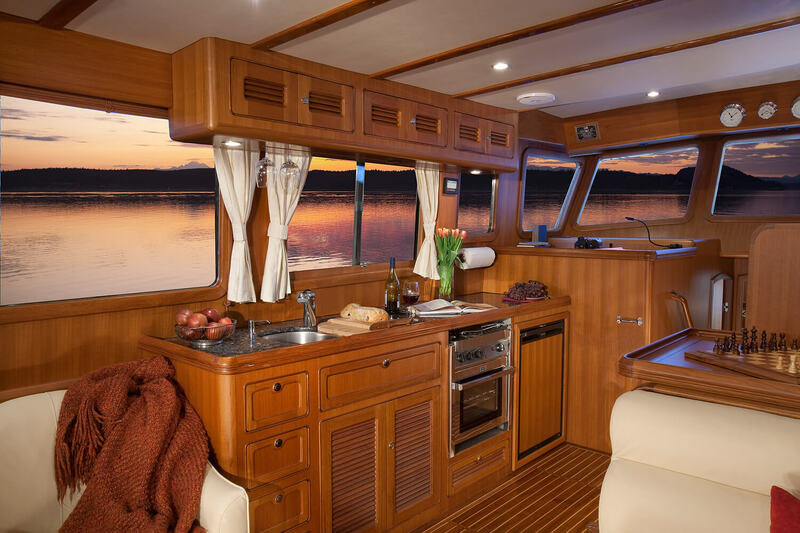 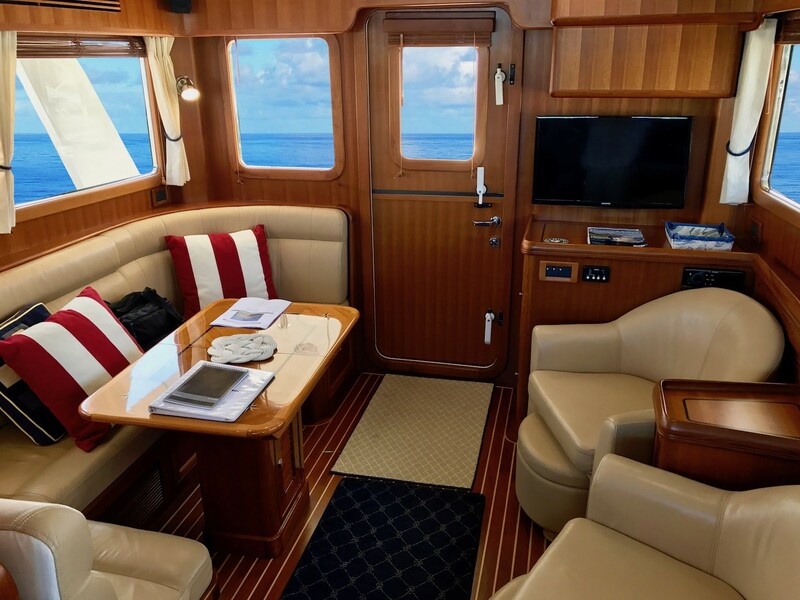 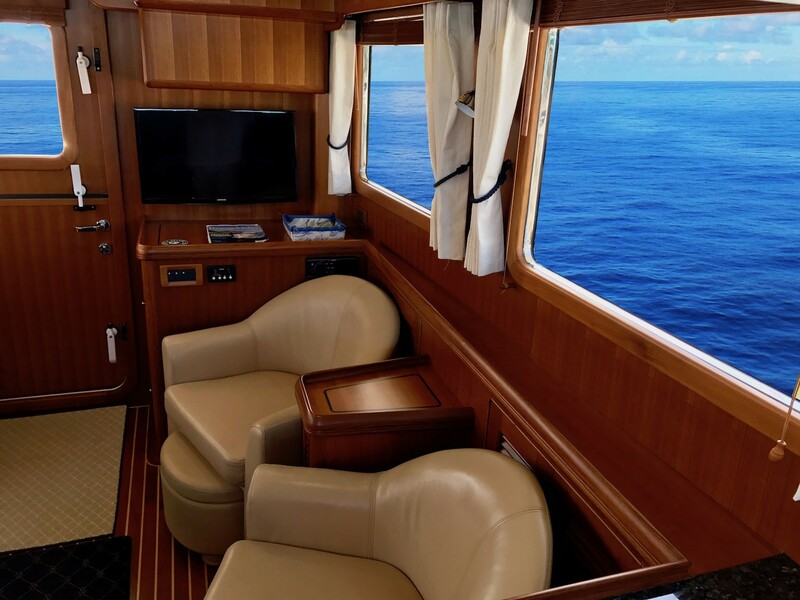 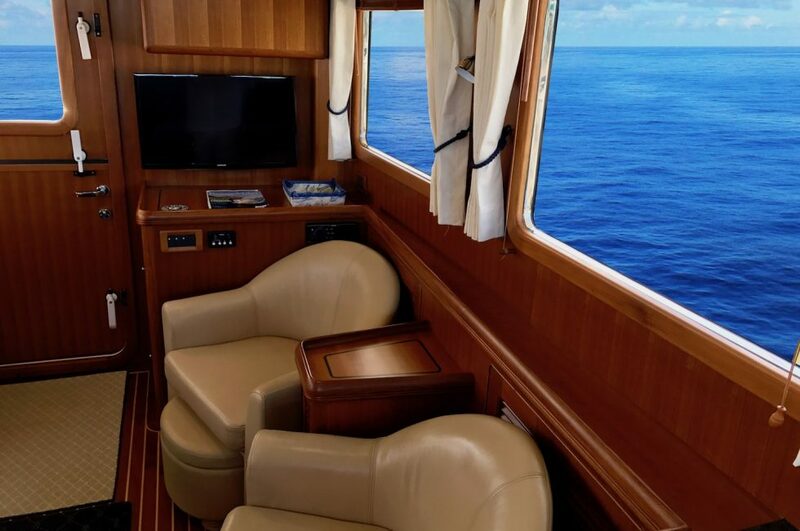 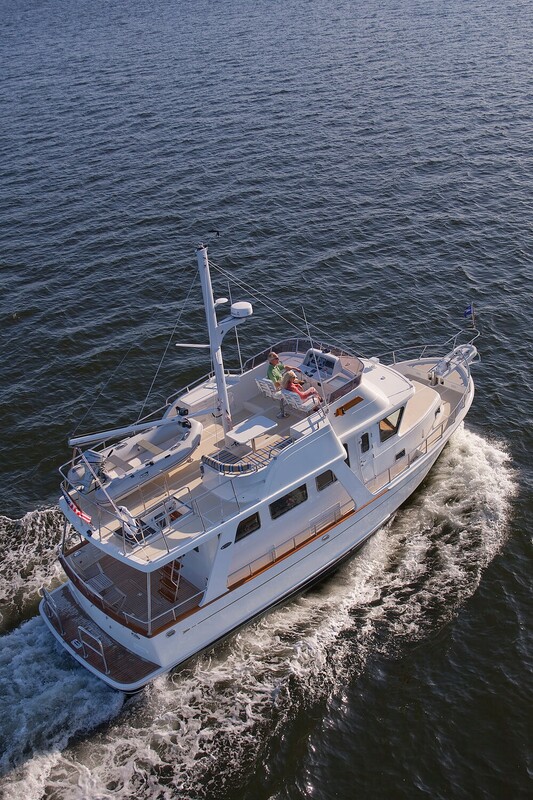 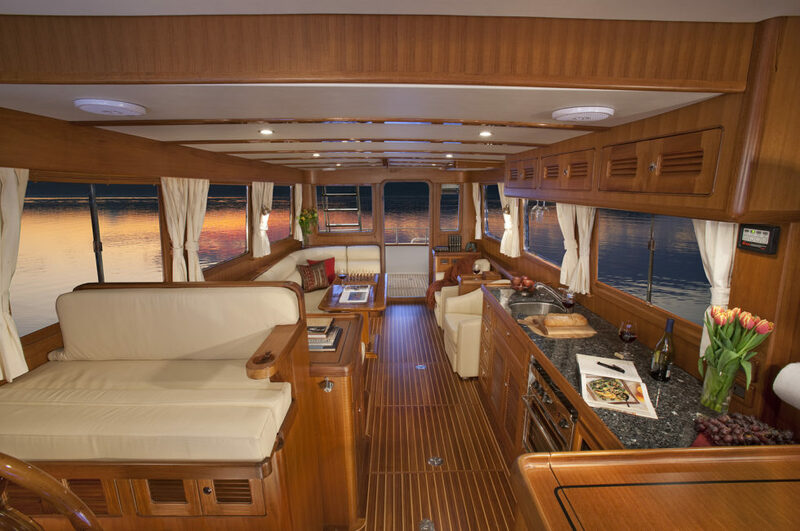 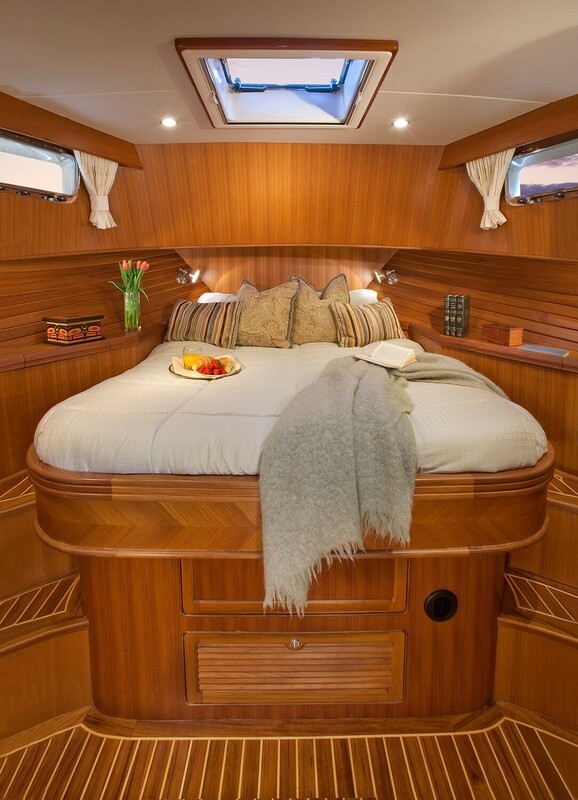 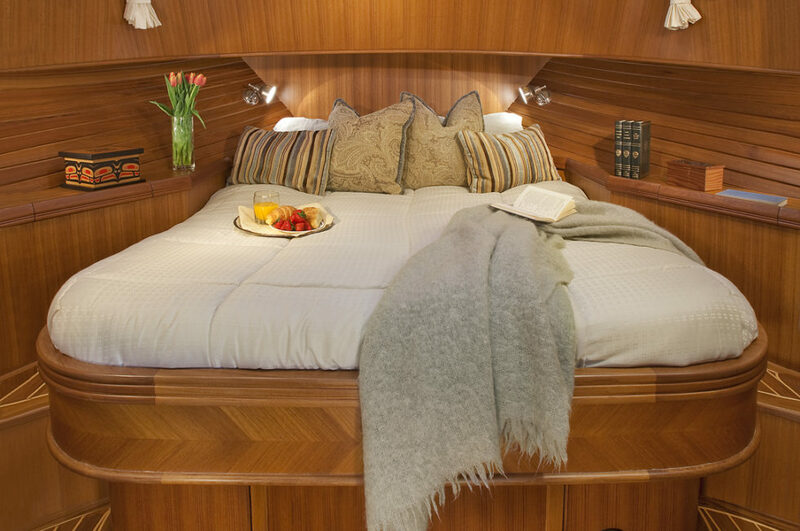 The two-stateroom layout has a beautiful teak interior and a well-equipped galley. 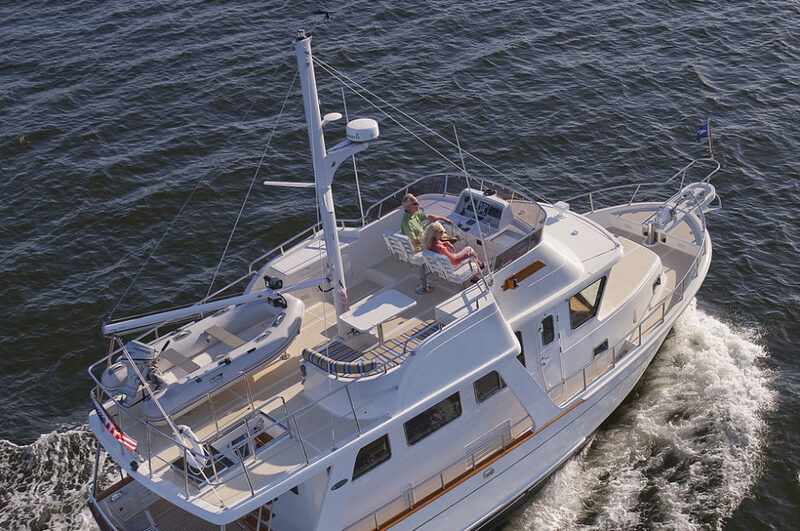 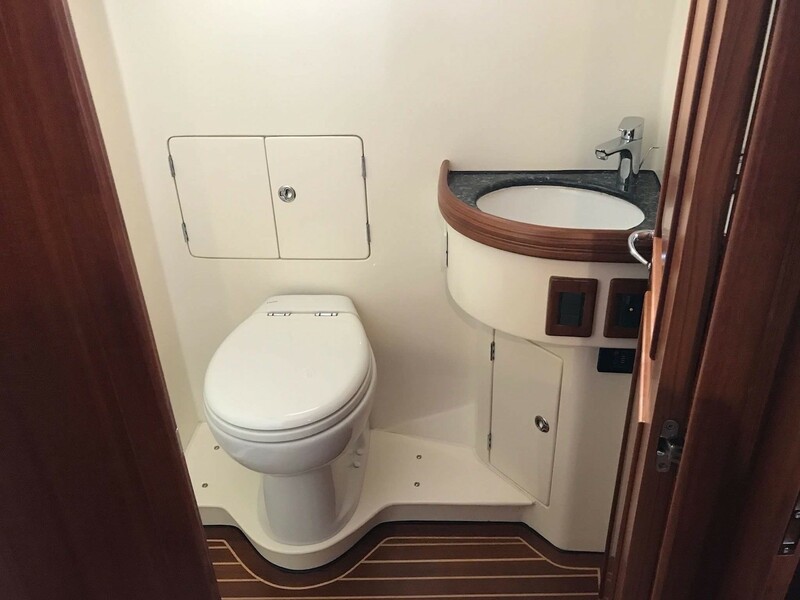 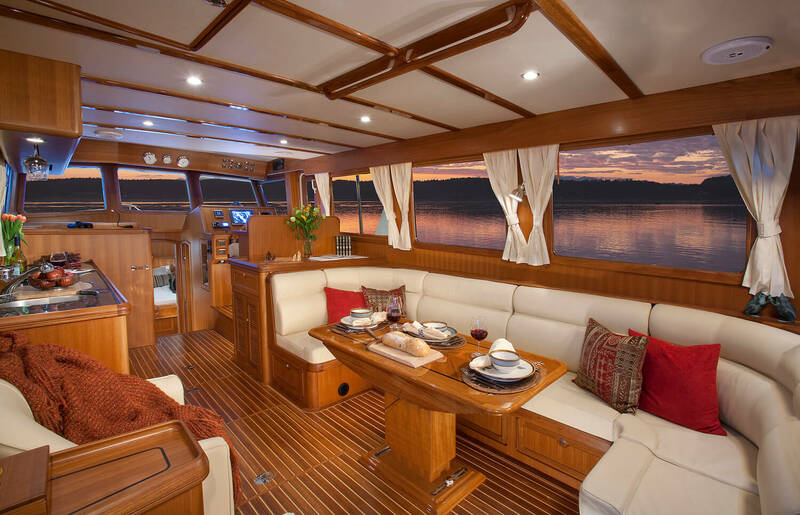 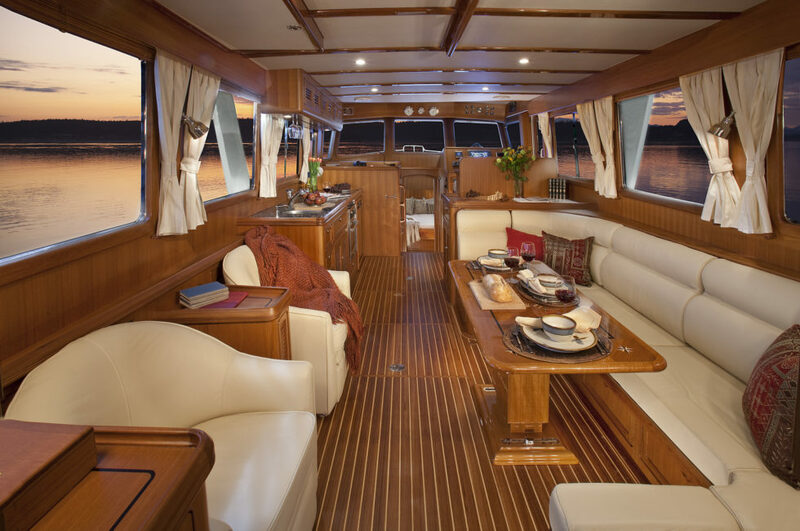 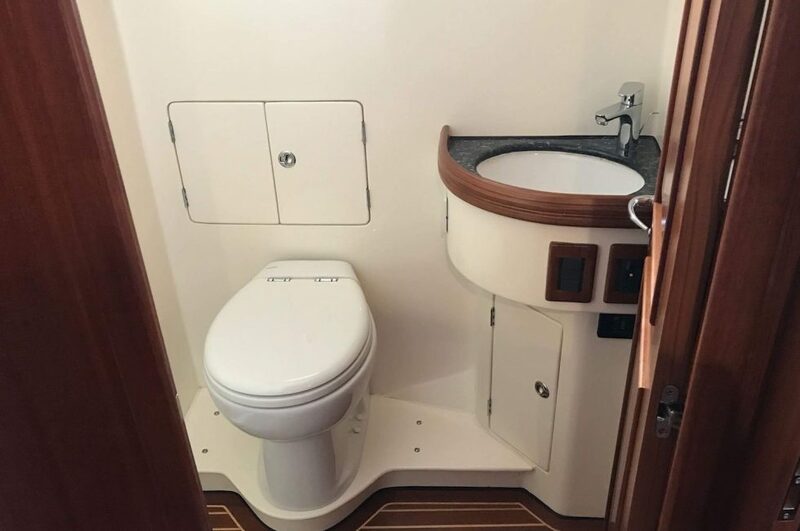 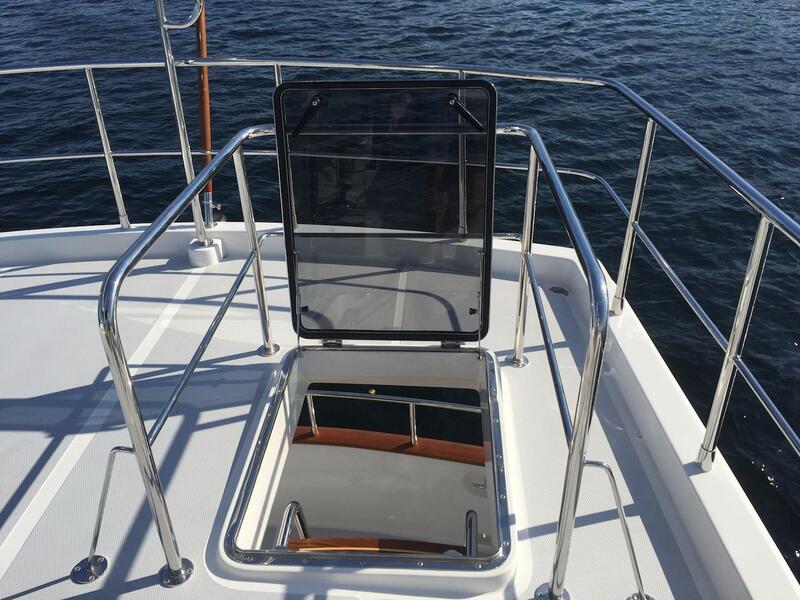 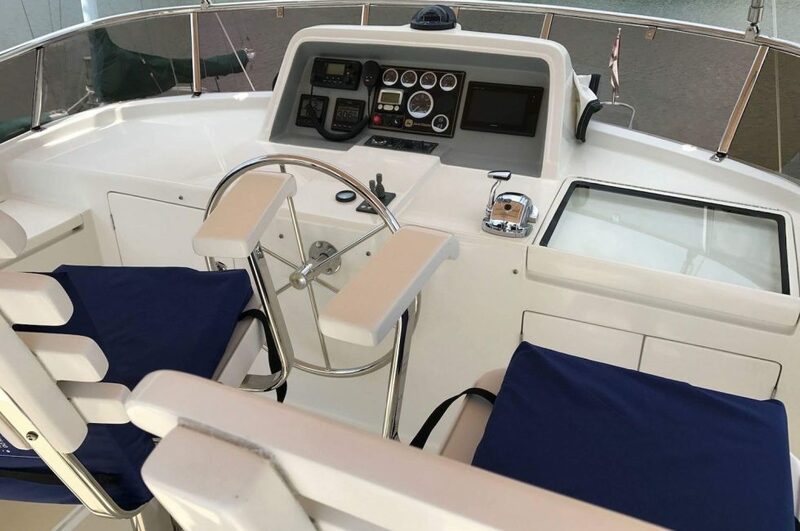 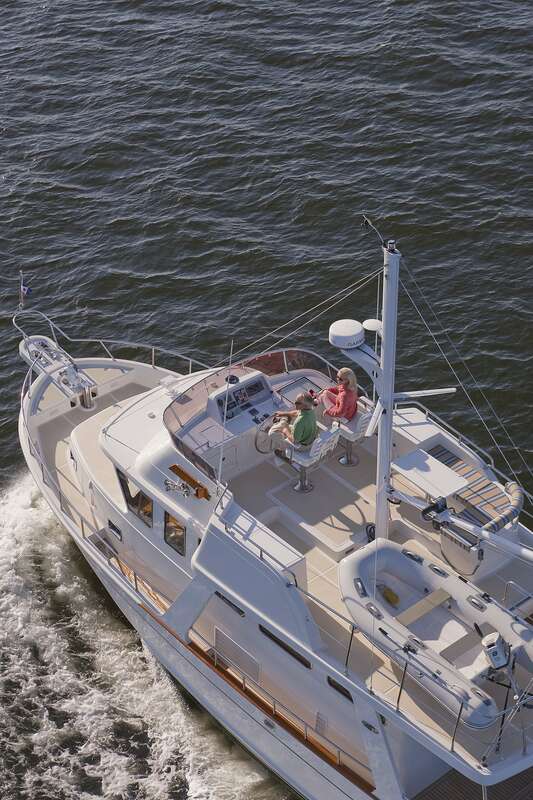 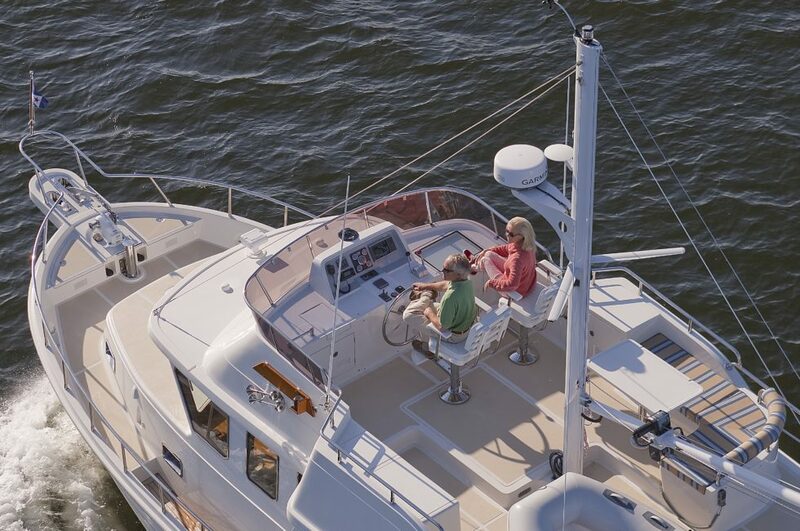 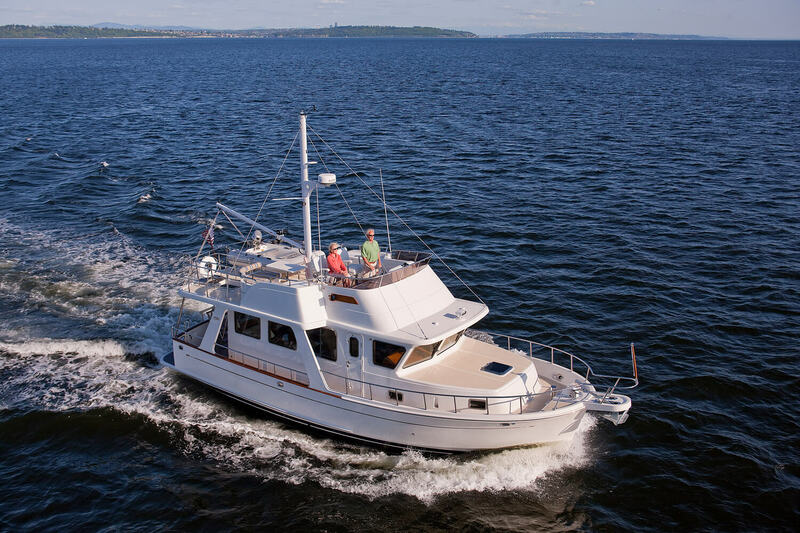 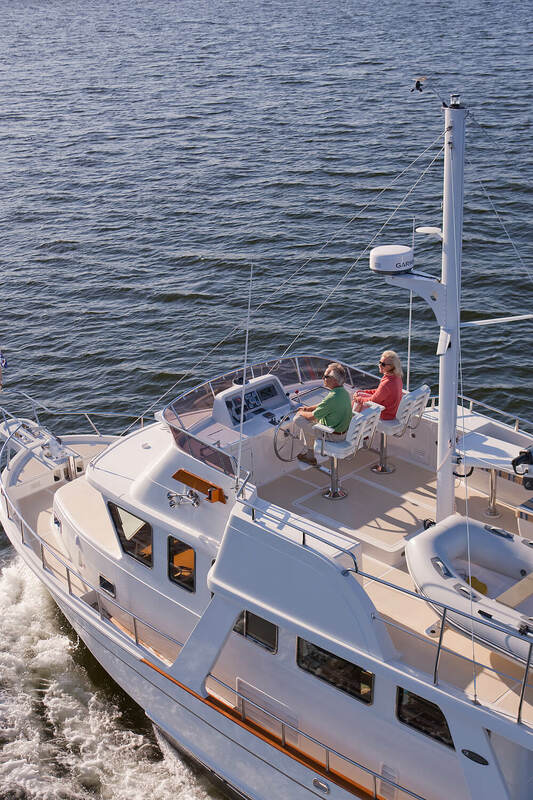 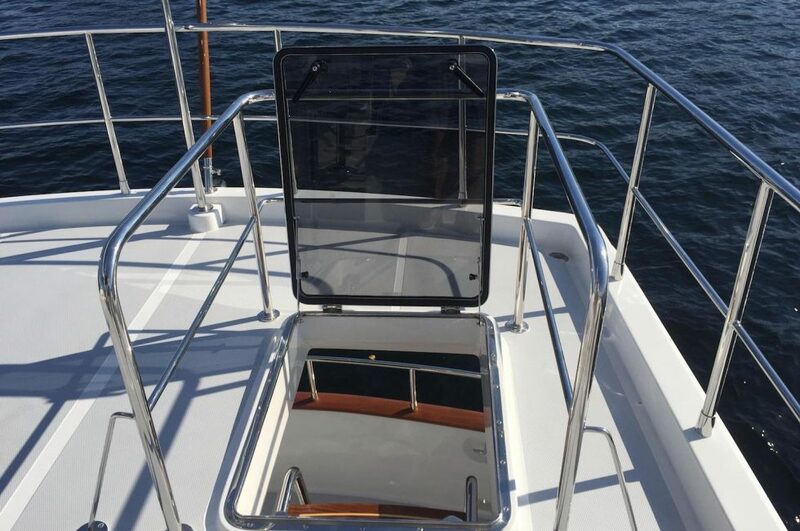 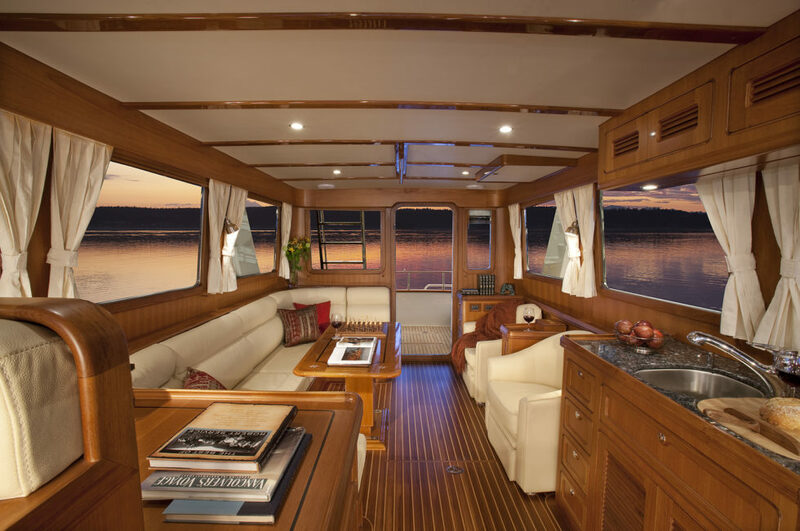 Compared with the Selene 42 Archer, it offers a more spacious salon, flybridge and engine room. 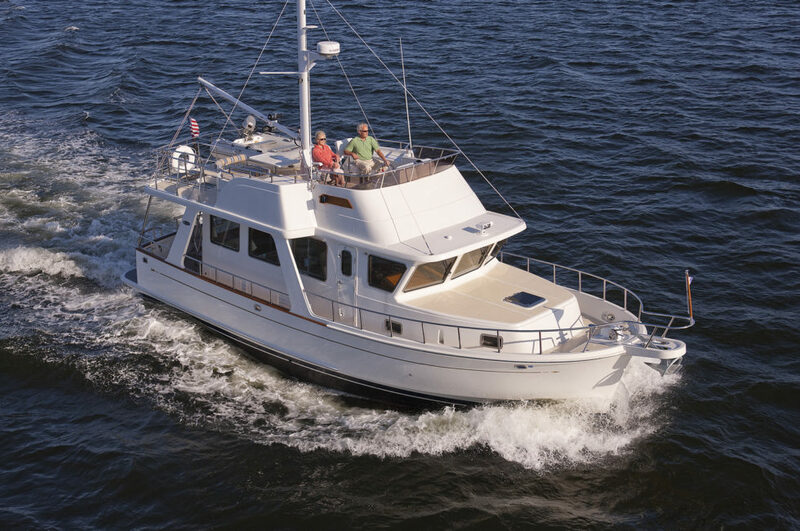 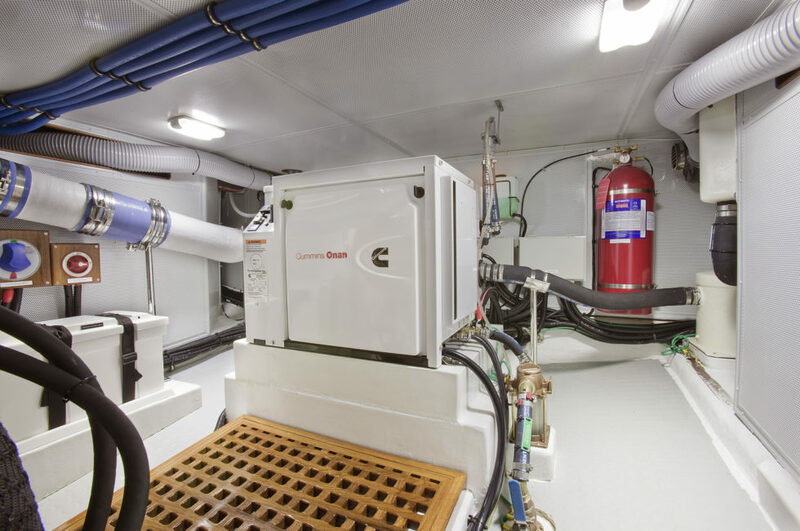 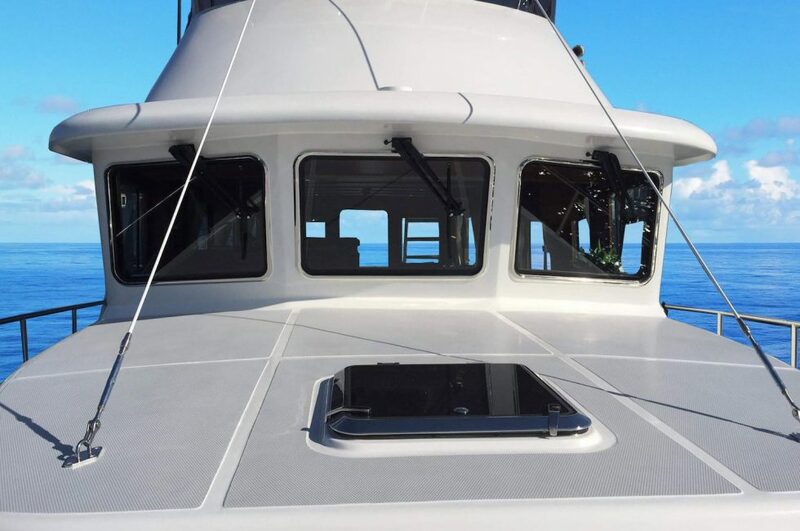 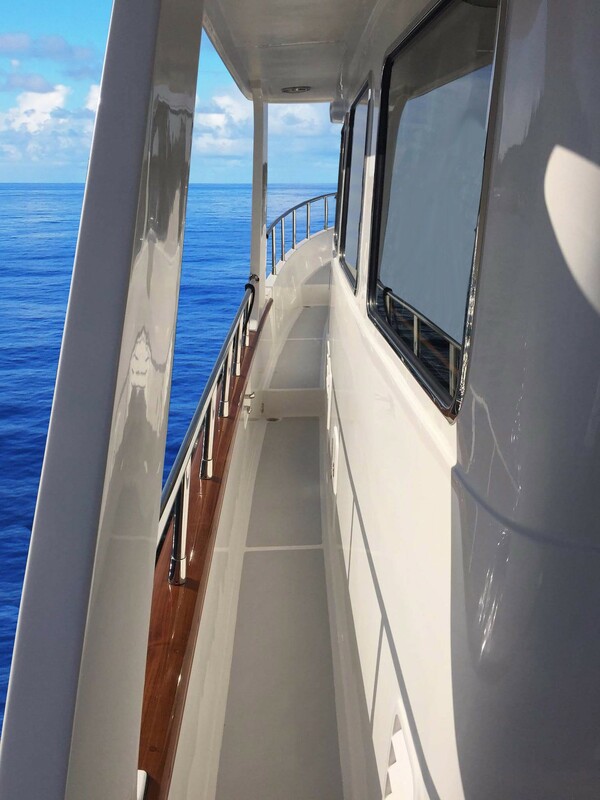 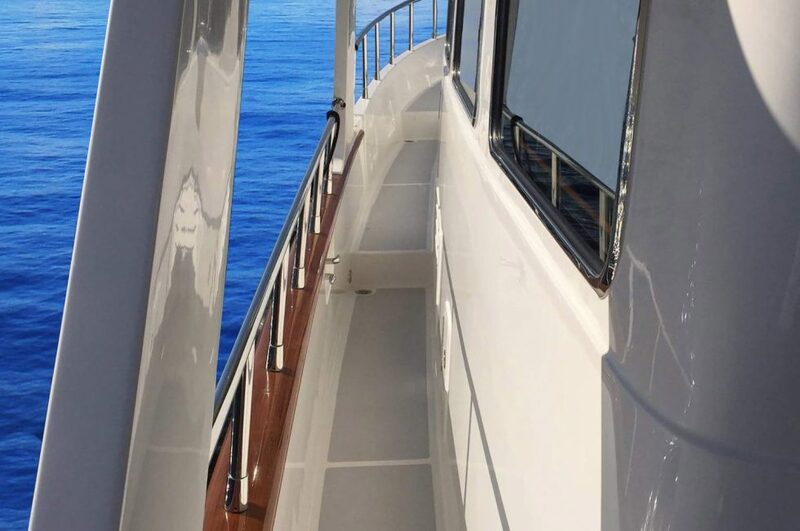 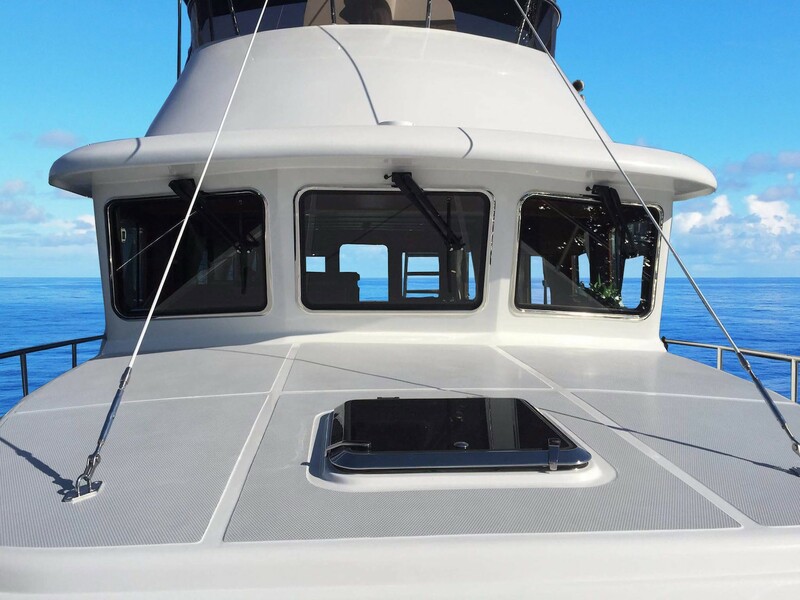 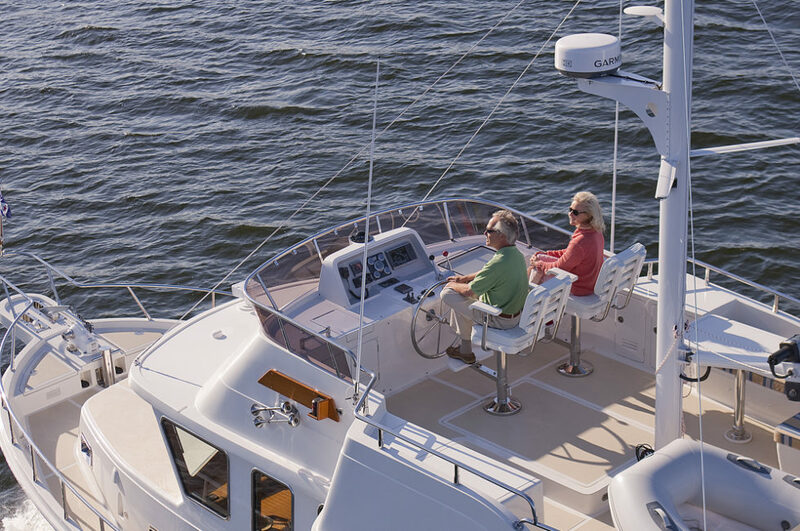 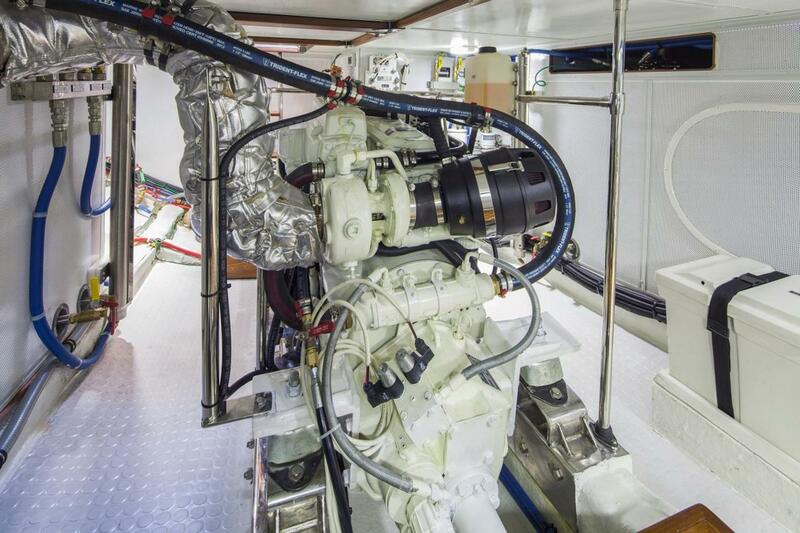 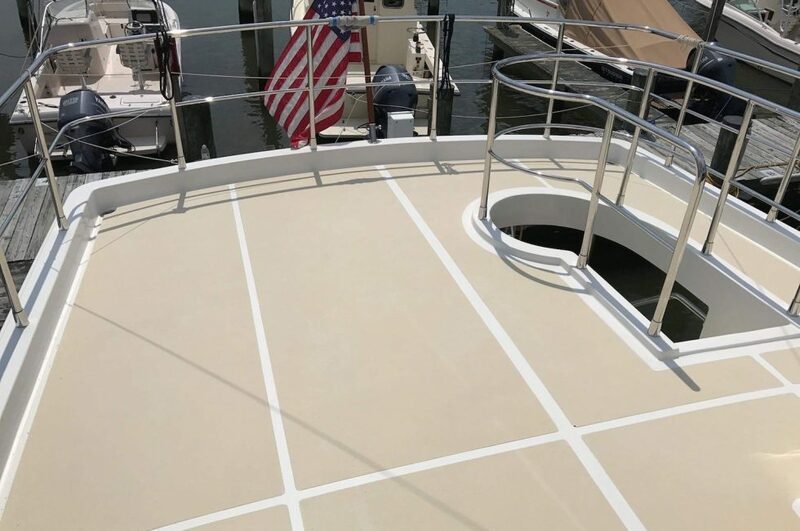 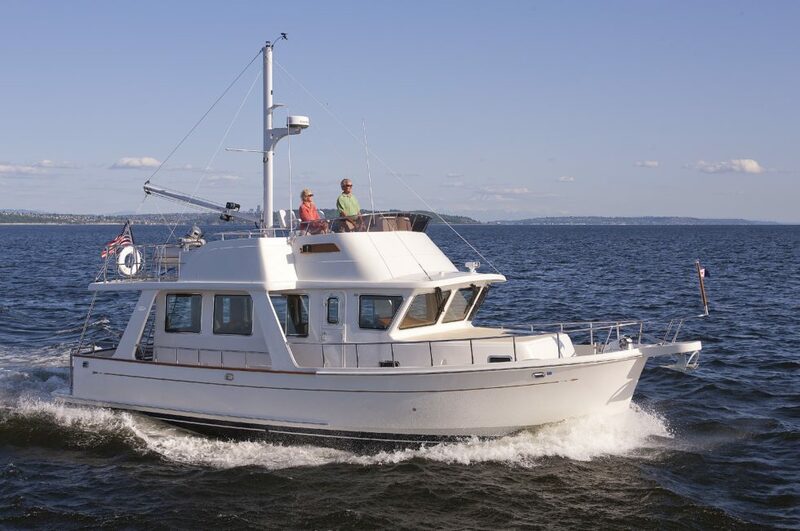 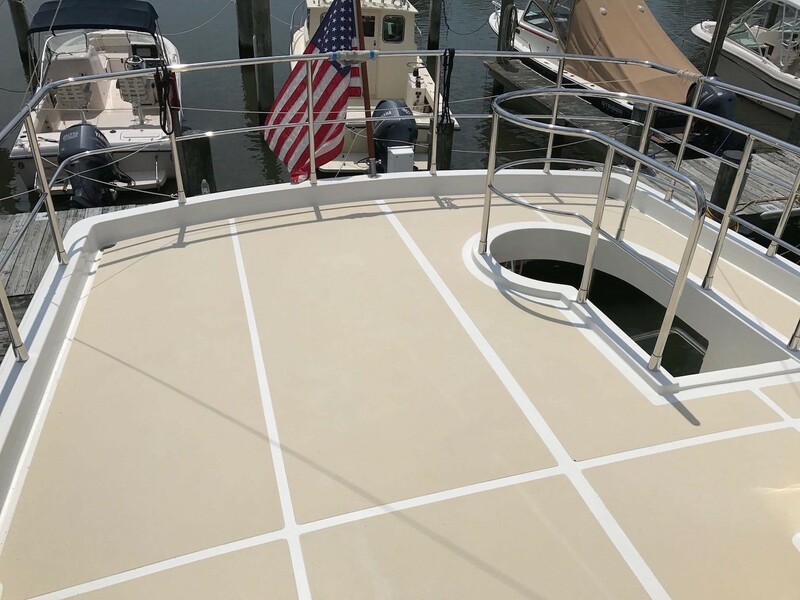 The enlarged fuel tanks of 700 gallons (2650 l) will guarantee longer cruising range. 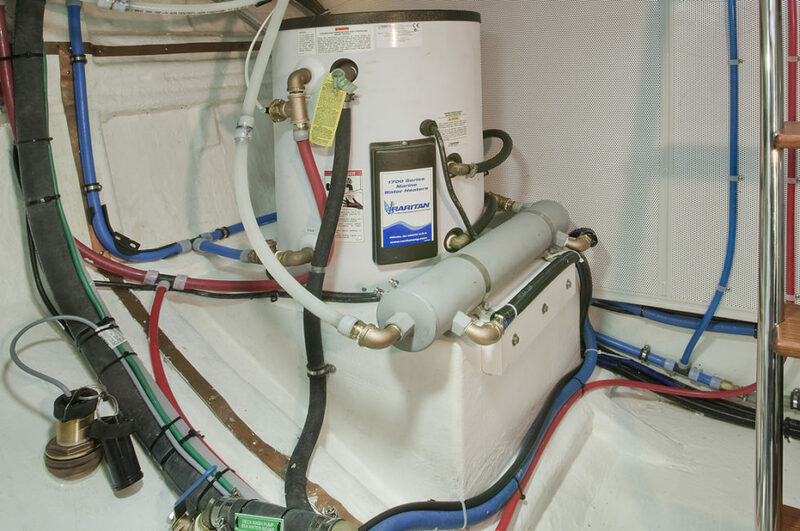 • S/S water tanks (2) with shut off valve & sight gauge, 240 gal.